When Philippa Jones was named Quality in Care Cancer Nurse of the Year 2016, she was shocked. Receiving the glass trophy and framed certificate was a moment of immense professional pride for Ms Jones, capping a 42-year career, yet she insists: ‘I am an ordinary nurse, not an academic. I came from the shop floor.’ She also emphasises that her achievement is the result of dedicated teamwork. 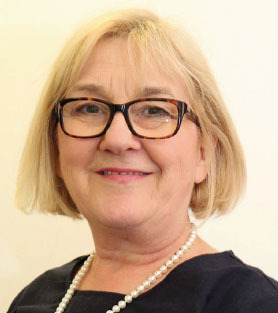 Ms Jones received the award in recognition of her pioneering work developing the UK Oncology Nursing Society (UKONS) triage tool, which is intended to transform emergency care pathways for patients with cancer. Used throughout the UK, it has been adopted in Australia and New Zealand, is about to be introduced in Ireland and discussions about its introduction in the United States are under way. Today, Ms Jones is the Macmillan associate acute oncology nurse adviser, a role hosted by the Royal Wolverhampton NHS Trust as part of the National Institute of Health Research’s (NIHR) West Midlands Clinical Research Network. Nursing may be in her genes, however. Her mother and two aunts joined the profession, and her three sisters and daughter became nurses too. Ms Jones started as a nursing student in Carmarthen, Wales. She thoroughly enjoyed the state registered nurse training and living in a flat provided by the local hospital to trainees. ‘I loved training,’ she says. ‘As students in a nurses’ home we tended to stick together, and I stayed on for 12 years once I had qualified. I got married and had the first of my three children.’ She spent ten of these years working in an emergency department. When the hospital set up a dedicated intensive care unit, Ms Jones became a founder team member. Then, when her husband changed work locations, she undertook various roles, including a staff nurse in intensive care in Cardiff and practice nurse in Pontypridd where she gained primary health care certificates. The family then moved to Southampton, where Ms Jones became an emergency nurse. ‘I did advanced trauma courses, helped implement the department’s first triage system and took a lead in asthma care,’ she says. Ms Jones’ career was interrupted when she sustained a shoulder injury that made moving patients physically painful. Then, in 1998, she was offered a senior staff job at a chemotherapy outreach unit at West Wales General Hospital, Carmarthen. She loved the job and has worked in oncology ever since. A few years later, her family moved to Shropshire and Ms Jones became unit manager and lead chemotherapy nurse at Royal Shrewsbury Hospital cancer centre. In 2007, UKONS was ‘just coming into life’ and Ms Jones decided to join. In a discussion with specialist nurse colleagues it became clear that the quality of advice lines needed improvement. They agreed it would make a useful project and Ms Jones took the lead. She helped to develop the triage tool during convalescence for a broken ankle. The tool was piloted in 2009, launched in 2010 and is now winning acclaim worldwide. The tool is being piloted in four hospices from this month. Meanwhile, the RCN, UKONS and the charity CLIC Sargent are developing versions for children and young people, and for primary care. Backed by Macmillan and the West Midlands NIHR, Ms Jones now develops acute oncology services regionally and nationally. Her role is ‘a good example of co-operation between Macmillan and the NHS’, she says.